Posted on November 22, 2015, in Photography, Projects 52 and tagged #grains, #malaysia, #paddy, #paddyfields, #photography, #projects52, #rice, #travel. Bookmark the permalink. 15 Comments. Most informative…and so splendidly illustrated. Thanks. Do you know from which country Malaysia imports rice? I was curious about who has a rice surplus. Great shot! Malaysia imported rice mainly from Thailand and China, however Malaysia itself had rice plantation which provide around 30% to 40% only. A beautiful, informative, well written post on rice! Awesome . Thanks for sharing. This reminds me of a good story, when i was a kid, i visited a village and one of my cousin gave shot to beating the rice(threshing probably) and one of the grain flew right into his eyes and got stuck, it was a horrifying experience both for him and us. Great post,very informational. 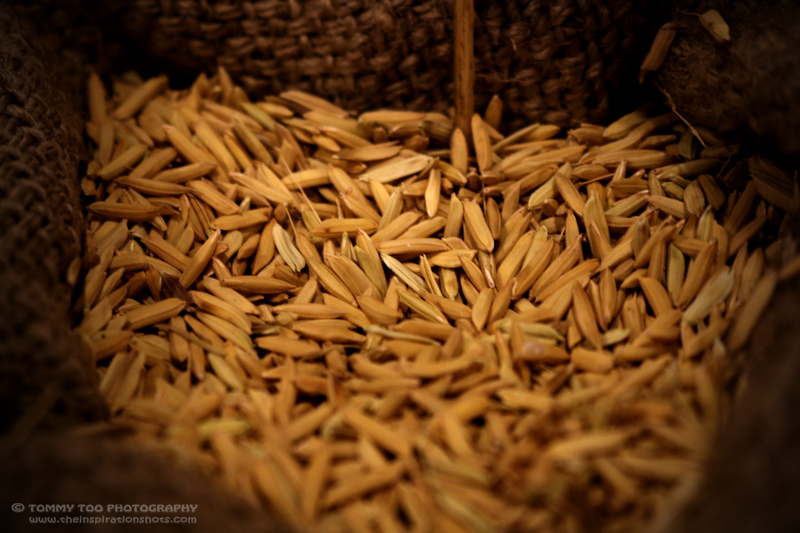 I believe that rice was one of the first domesticated grains. It is labor and space intensive to grow. However, most government schemes to grow “cash crops” rather than subsistance farming have lead to distribution issues, dependency on the cash to purchase all ranges of food on the world markets, land-owerner vs labor class issues, and mono-crop disasters. I would advocate grow-your-own farming first, then what space and time are left-over be devoted to cash-crops. When the markets plumet from over-supply, the local subsistance farming can at least feed everyone. That is really a very interesting blog. Thank you for sharing.